Home / Lucky Horseshoe Comes to Town! Wonderful décor beckons you as enter the restaurant creating a relaxing and comfortable ambience ideal for anytime of the day, and for after work limes with friends and colleagues. 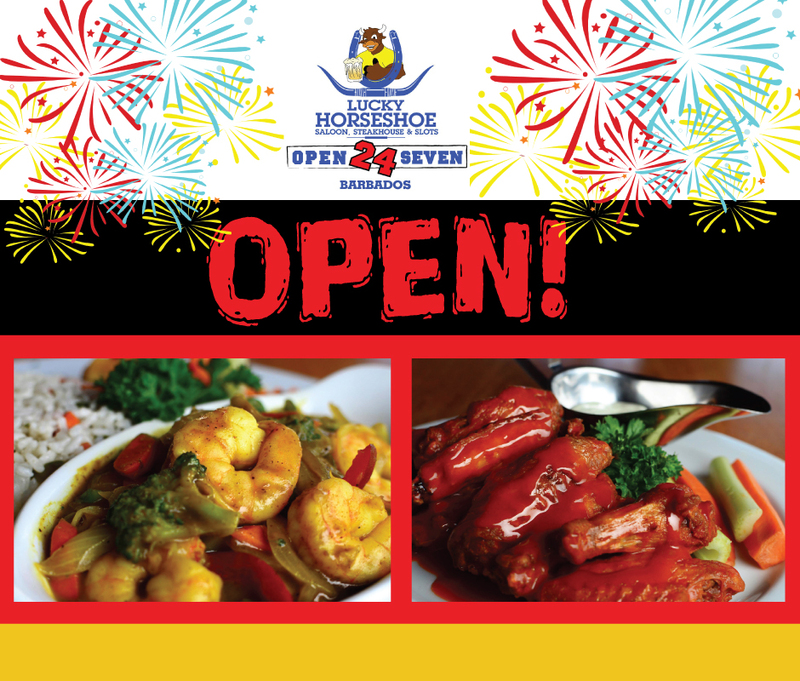 In addition to their customary delicious dishes, Lucky Horseshoe is serving up something new and exciting in this new branch…a special new deli menu with a live food preparation station! Now you can create your very own scrumptious Alfredo chicken pasta, Caesar Salad or Fish Wrap for breakfast (yes for breakfast! ), lunch or early dinner. And the best part? Watching the chef whip up your order right before your eyes! Also for breakfast, enjoy a traditional Bajan ham cutter, cheese cutter or bread and two or choose a hearty breakfast from their standard menu. More exciting news…Lucky Horseshoe has gone green! As part of their corporate social responsibility, they are serving take-away orders in eco-friendly containers. This location is the first branch to go green and the others will follow suit shortly. So come to City Centre Mall, where you can park, shop and dine!